Gold nanoparticles could help make drugs act more quickly and effectively, according to new research conducted at Binghamton University, State University of New York. Nanoparticles are microscopic particles that are bigger than atoms but smaller than what the eye can see. They are unique for their large surface area-to-volume ratio and their fairly ubiquitous nature. 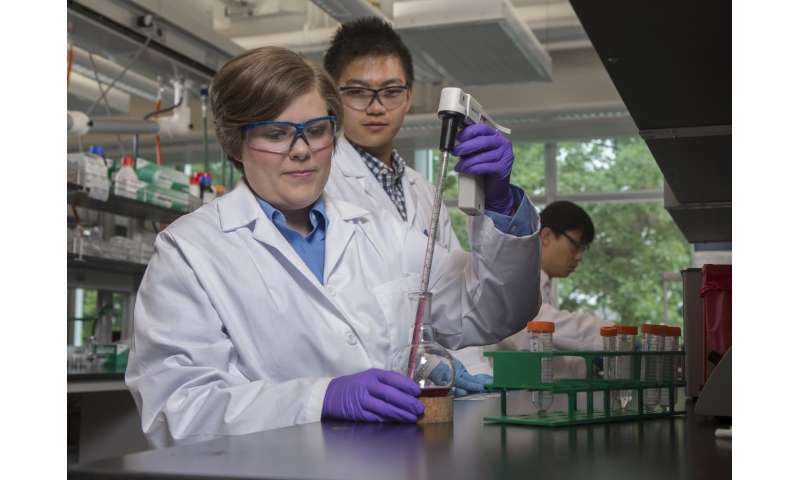 A new study, co-conducted by Binghamton University Assistant Professor of Biomedical Engineering Amber Doiron, is one of the first of its kind to look deeper into these nanoparticles in regards to health. "Nanoparticles are a huge area of research in the scientific community right now. However, they're not yet well understood for their impact on human health," said Doiron. "Nanoparticles have unique properties and, because of that, are used in many applications. They're in your food and may get into your bloodstream through environmental exposure. Eventually, they may be used for helping to get drugs to tissues or as imaging agents. We wanted to investigate how nanoparticles interact with human cells," added Doiron. Doiron and her team looked specifically at the effects that gold nanoparticles have on the health of a cell. They found that nanoparticles can change cells, but only if the particles are a very specific size. "The nanoparticles have to be around 20 nanometers. Nothing bigger or smaller worked," said Doiron. Their research found that when the cells that line arteries or veins are exposed to these nanoparticles, the vascular permeability changes. This could potentially help in more effective medication delivery. However, the researchers are also aware of some limitations to nanoparticles being used in this way. "It has to be exact, otherwise changing the permeability of veins too much could be extremely dangerous," said Doiron.